If you have a device that is designed to plug into the round Black or Green 9 pin diagnostics port on heavy trucks this cable will work for you to connect that device to 16 pin OBD2 type connector found in 2013 and newer Volvo and Mac trucks. The black 9 pin on other end will then accept your Garmin, Rand McNally, ZED or other ELD device that has the round 9 OR 9 position plug. 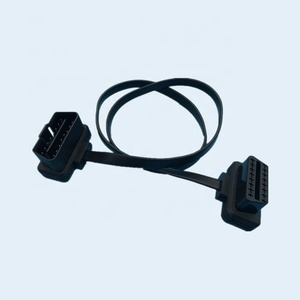 This adapter cable also allows a J1939 Scan Tool (a scanner designed to plug into the round J1939 9-pin Deutch connector on a vehicle) to be used with a J1939 equipped vehicle that uses a standard OBD2 style connector. Shenzhen Mingching Electronics Technology Co., Ltd.
2. fix our splitter cable vehicle OBD port into the car original OBD position. 3. connect your tracker into injected OBD2 female port of the splitter cable. 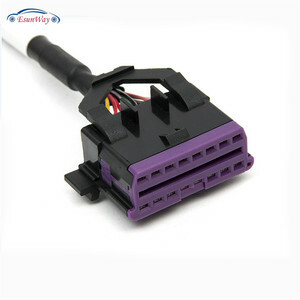 4.plug the car original OBD port to the injected OBD2 male port of the splitter cable. Kunming Na Hai Technology Co., Ltd.
2. ABS+PC,Nylon and PA66 material are available. 3. Nickel plating and Gold plating are available. 4. 12V for car and 24V for heavy vehicle are available. 3. By Air or by Sea for Batch Goods, for FCL; Airport/ Port receiving. 4. Customers Specifying Freight Forwarders or Negotiable Shipping Methods. 5. Delivery Time: 3-5 work days for samples; 5-25 days for batch goods. We can also make the cables as your drawing. * OBD2 splitter Y cable. * Other automotive cable. 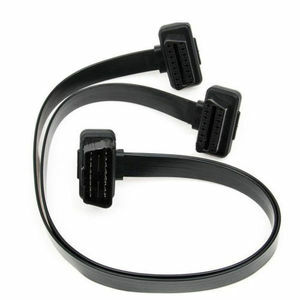 Alibaba.com offers 162 obd male opening cable products. About 1% of these are computer cables & connectors, 1% are mobile phone cables, and 1% are mp3 / mp4 player cable. 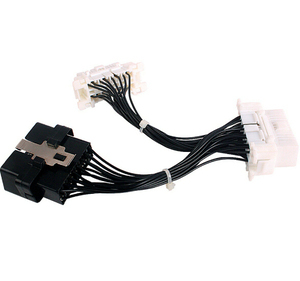 A wide variety of obd male opening cable options are available to you, such as free samples. 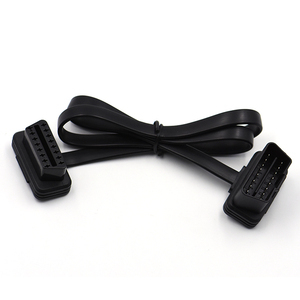 There are 83 obd male opening cable suppliers, mainly located in Asia. The top supplying country is China (Mainland), which supply 100% of obd male opening cable respectively. Obd male opening cable products are most popular in North America, Western Europe, and Eastern Europe. You can ensure product safety by selecting from certified suppliers, including 10 with ISO9001, 6 with BRC, and 1 with ISO/TS16949 certification.